We're passionate advocates and supporters of Dachshund Rescue and we encourage anyone who is thinking of adding a weenie to their life to adopt. And don't overlook the seniors! Some of the greatest gems are frosty. 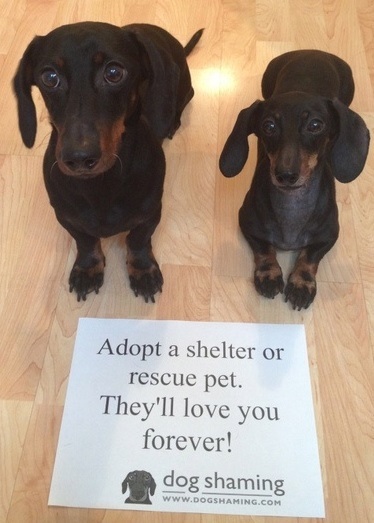 Check out the links below for dachshunds looking for their forever homes...maybe one of them will be yours!